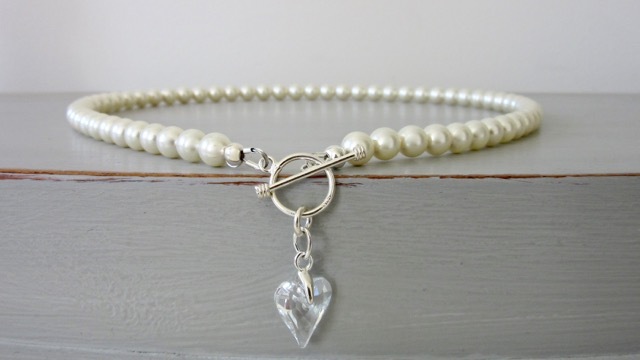 KEISHI PEARL - HEY JULES! 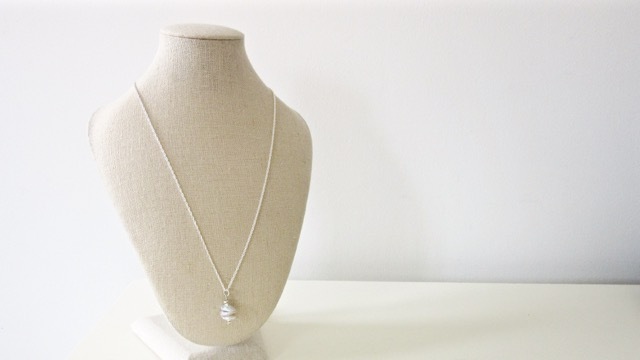 The Keishi Pearl necklace is made with shimmering freshwater keishi pearls in a rich creamy silver tone, and paired with little sterling silver beads all stacked together to form a lovely pendant on a sterling silver rope chain 18 inches long. 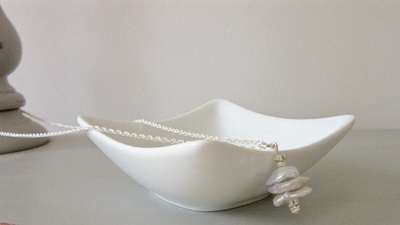 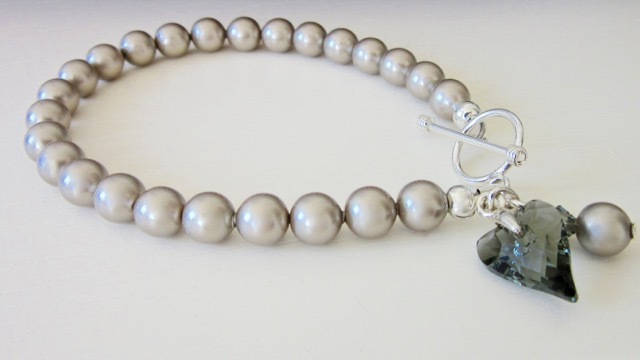 Each pearl has it's own unique character so whilst each necklace is individual, I will try to match the example pictured here as closely as possible. 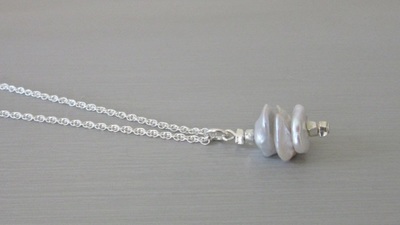 DIMENSIONS The Necklace measures 46cm (18 inches) in length, and the pearls used are approximately 12mm x 10mm. 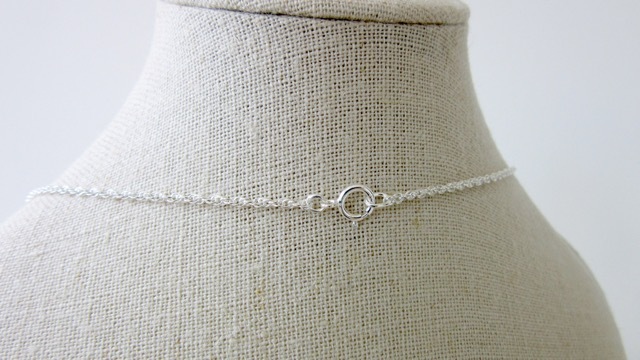 The pendant length is approximately 20mm long and 12mm wide. Please contact me if you require a different length. 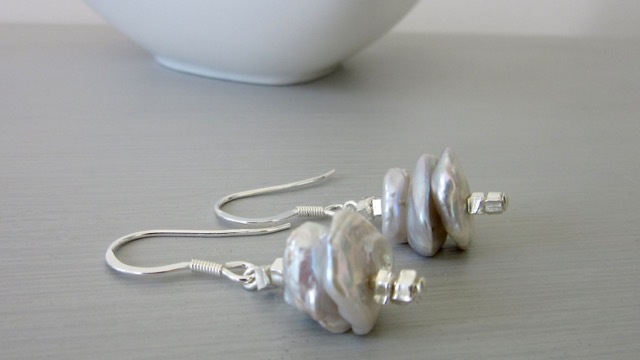 These Keishi Pearl earrings are made with shimmering freshwater keishi pearls in a rich creamy silver tone, and paired with little sterling silver beads all stacked together to form a lovely drop on a sterling silver ear hook. 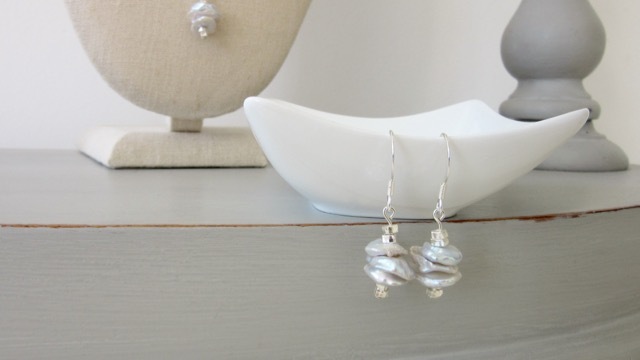 Each pearl has it's own unique character so whilst each pair of earrings are individual, I will try to match the example pictured here as closely as possible. DIMENSIONS The earrings have a drop of approximately 19mm. The pearls used are approximately 10-12mm.